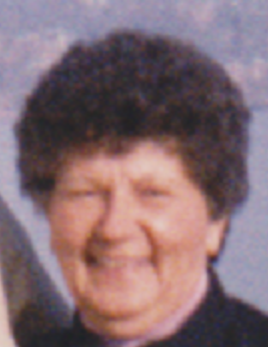 Betty J. McAninch 92, of Cadiz died Tuesday August 21, 2018 at Altercare of Adena. She was born February 16, 1926 in New Philadelphia, Oh. A daughter of the late Harold and Fern (Rose) Fagley. She was a retired supervisor for O’Neal’s Department store, a Methodist by faith, a member of the Mt. Pleasant Garden Club, and the Harrisville Fire Department Aux. In addition to her parents she was preceded in death by her brother John Fagley, and her sister Phyllis Meese. Betty is survived by her loving husband of 73 years Reese Wilson McAninch, two daughters Debbie McAninch of Cadiz, and Kathy McAninch-Kelly of Canton. Friends are invited to a memorial service on Wednesday August 29, 2018 at 1 pm at the Harrisville Presbyterian Church Harrisville, with Rev. Barry Hall officiating. Private interment will held at the convenience of the family. Wilson Funeral Home 154 Second St. Dillonvale assisting the family. In lieu of flowers memorial contributions may be made to the Alzheimer Association.